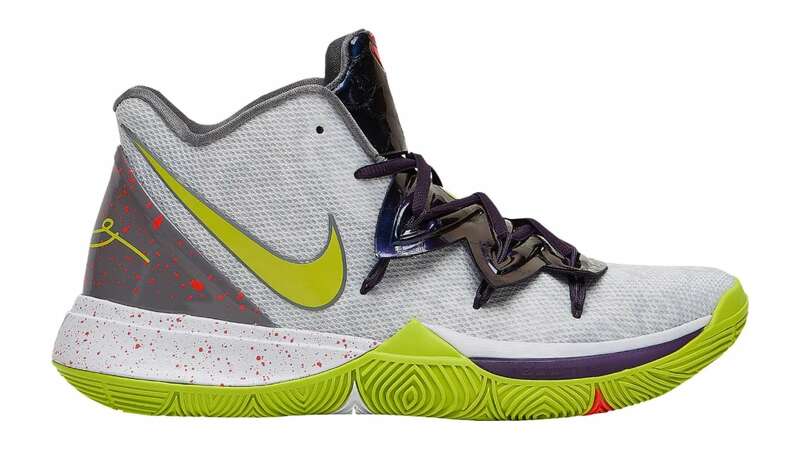 Nike Nike Kyrie 5 "Mamba Mentality"
Inspired by Kobe Bryant's classic "Chaos" Nike Zoom Kobe 5, the Nike Kyrie 5 borrows the popular scheme for Mamba Day 2019. Unique details include a split Kyrie/Kobe logo on the tongue, a snake eye replacing Kyrie's third eye symbol and Kobe's signature on the heel. Release date is April 13, 2019 at a retail price of $130. News Nike Kyrie 5 "Mamba Mentality"